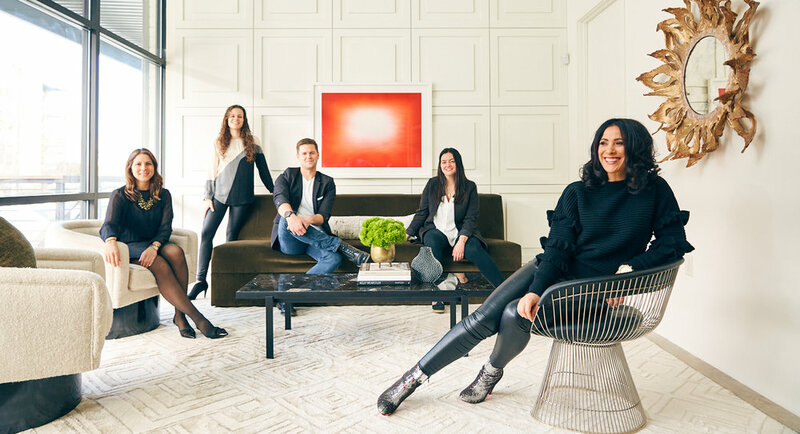 Sarah Catherine Collective is an interior design studio crafting luxurious, inspired, uniquely personalized spaces. Founded by Sarah Catherine in 2009 and based in Charlotte, North Carolina, SCCo offers its services nationwide and has quickly established itself as a premier studio in the Southeast, known for its eclectic and fearless design practices. We believe design worth pursuing requires small yet constant acts of defiance. A fierce creative spirit that refuses to settle and relentlessly reaches beyond the expected to something more, a result that is often intangible at first but once achieved... feels timeless, moving, undeniably if inexplicably right. It’s with this philosophy in mind that we set out to fiercely defy ordinary on every project. Where creatives come to work play. Sarah brings over 15 years of interior design experience to SCCo, where she has steered the studio’s vision, strategy, and design since founding the company. She’s a hands-on leader driven by authentic clients and passionate talent. Her design style is one that’s all her own–fierce, refined, evocative–yet she also believes each space should be distinctly expressive of her clients. To Sarah, every room is a blank canvas, wherein she leans on the principles of design–scale, proportion, harmony, and balance–to transform the home into an unexpected yet imaginative reflection of the homeowner, perfectly balancing form and function, artfully reinventing convention. Sarah has also been recognized with NCIDQ certification by the American Society of Interior Designers, a distinction reserved for highly qualified and competent designers. Her work has been featured in numerous publications, including Urban Home, QC Exclusive, The Local Palate, and Southpark Magazine. Our studio is a gathering place for creative minds who enjoy solving problems through the power and beauty of design. We’re a close-knit group of expert and imaginative makers with good instincts and uncommon curiosity. Each member of our team brings diversity to our thinking and expands our collective perspective so that we can approach every project with a more holistic point of view. Together, we create experiences and spaces that elevate what’s possible through interior design.